With the flexibility of granite panel sizes, from 90mm diameter disks up to panels 2.4 metres x 1.2 metres, Laser Etching from J.H. Wagner & Sons can be used in wide ranging applications. 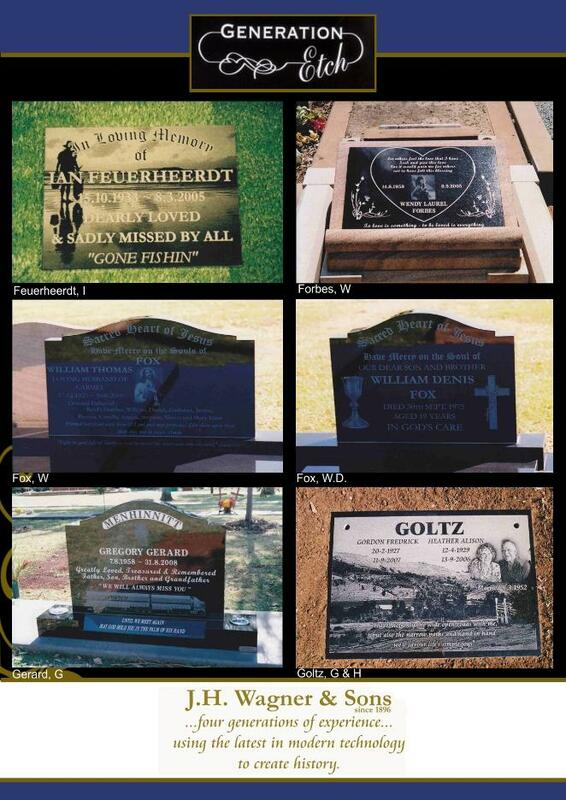 Laser Etching on granite disks can even be attached onto Bronze Plaques.